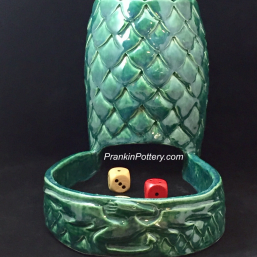 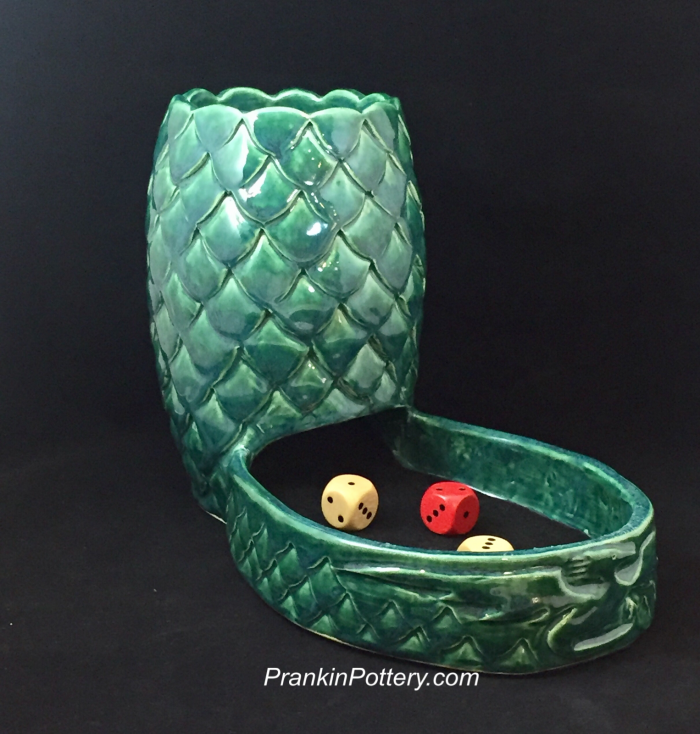 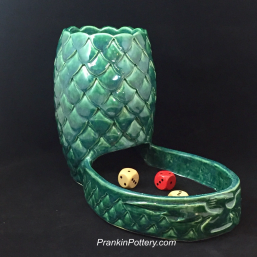 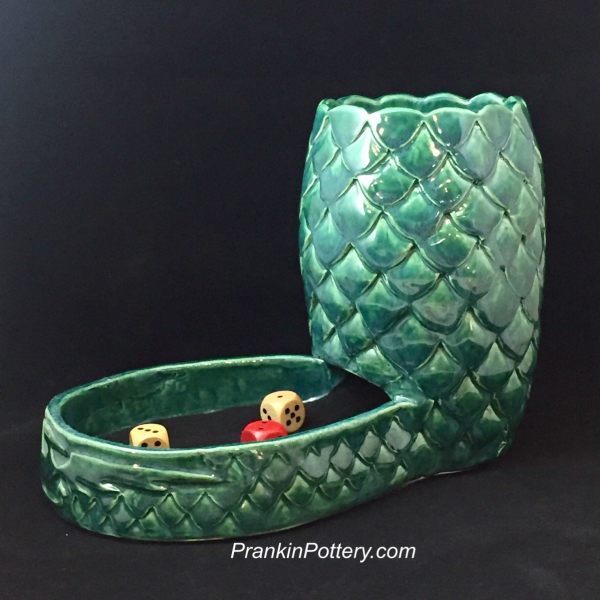 The Dragon's Egg Dice Tower is individually hand built with clay that has been kiln fired and features a glossy dark green glaze that beautifully enhances its carved textured design. 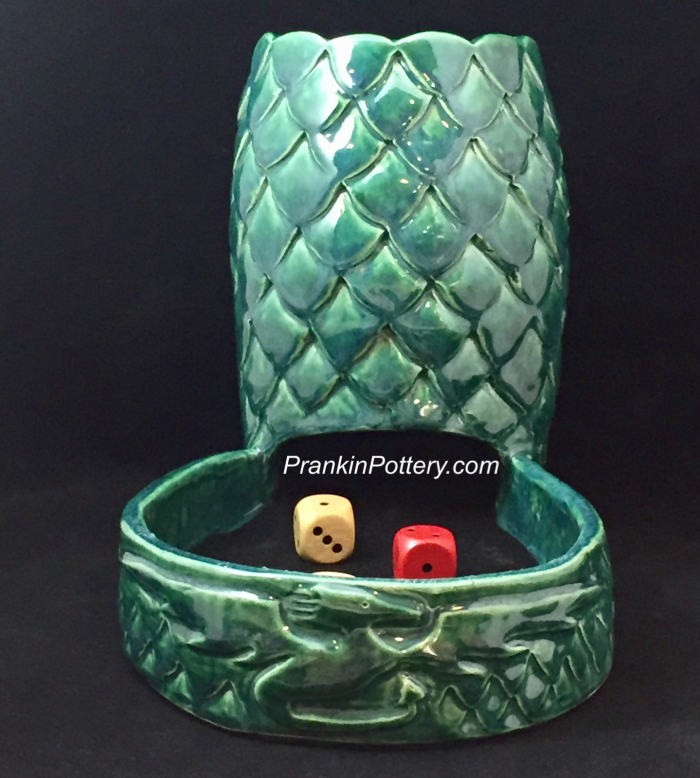 A hand carved dragon logo stands guard at the front of the tray. 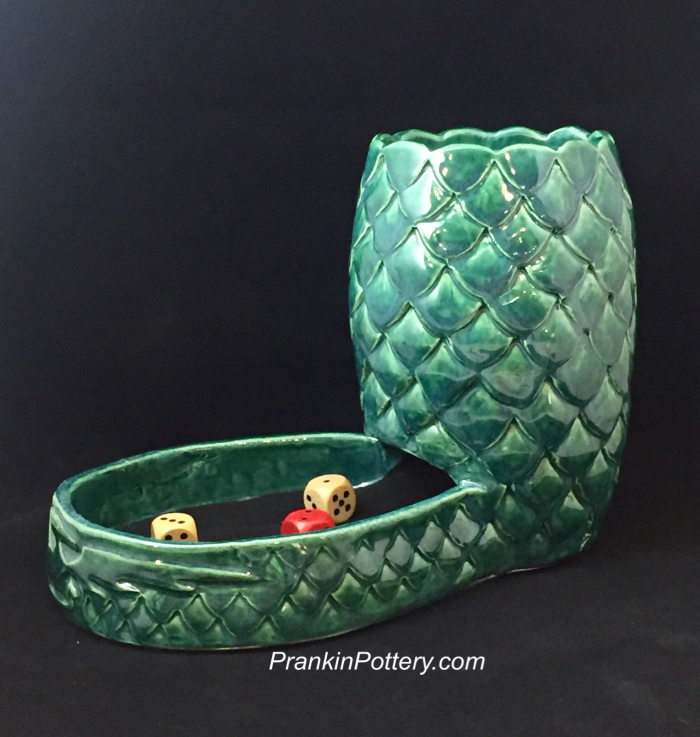 For more information or order details please Email me at Contact link on this website.